We are a pioneer name betrothed in the domain of offering to our customers a vast collection of Electrical Grade Pre Compressed Board Sheet. Designed and developed making utilization of exceptional quality basic inputs and advanced techniques, the entire collection is hugely accredited and acknowledged. Besides this, we assure delivering them to our customers’ on time. 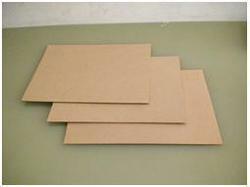 COLOR Sheets are supplied in Natural Brown Color. THICKNESS 0.4 mm – 50.0 mm. Harsh Corporation is the reputed Exporter, Supplier and Trader of Adhesive Tapes, Fiberglass Sleeves, Film Rolls, Industrial Paper etc.